Keen Marshall is breathable, lightweight, fast and dependable. 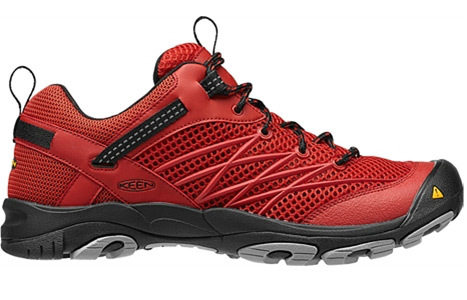 This versatile, high-function hiking shoe features open mesh and lightweight overlays, keeping your foot stable and protected from the trail. The Marshall features a durable, high-rebound PU midsole and a solid rubber high-traction outsole. The contoured heel lock allows for customized, comfortable fit. Keen Marshall is a perfect low cut hiking shoe for a multitude of adventures.